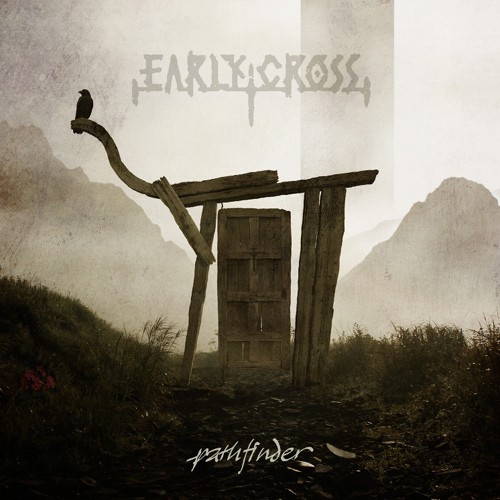 Lion Music are proud to introduce the debut album “Pathfinder” by Japanese atmospheric rock/metal outfit Early Cross on 14 February 2013. Early Cross are a four piece band comprising of Natasha Vaichuk (Vocals), Hiroaki Kato (6 & 12 String Guitars, Bouzouki, Pianos, Mellotrons, Organs), Yugo Maeda (Bass) and Yushi Soutome (Drums). With a sound much bigger than the sum of their parts, "Pathfinder" is a strong label debut full of carefully crafted music, depth, musical richness and emotion with a dark foreboding presence that will find favour with fans of Opeth, Porcupine Tree, Riverside, Day Six, The Gathering, The Wishing Tree etc. Home to a clean and powerful production, Early Cross are set to make a powerful impact on the rock and metal world outside their native Japan and the band are looking to tour in Europe in 2013. The albums creation started with the band writing the music at the end of 2010 and worked on it little by little in parallel with playing at several rock festivals. Work on the lyrics, commenced in 2011 under the consultation of Mustumi Tanamura who was in charge of the lyrical and vocal direction for the album, which have been soulfully delivered by the bands vocalist Natasha Vaichuk. In 2011, Japan was struck by the Great East Japan Earthquake and Tsunami, which saw the band activities temporarily suspended. Thereafter, the band restarted their activities by joining Lion Music’s benefit album "Embrace The Sun" which saw all profits go to the Japan Red Cross Appeal. In summer 2012, recording the album began at Studio NEST. Jan Erik Liljeström from Anekdoten participated as a guest musician. The album was mixed by Christer-André Cederberg (ex-Animal Alpha, ex-In the Woods...) who has been nominated five times in the Norwegian Grammy Awards and is well-known for working with Anathema, Circus Maximus, New Empire, Petter Carlsen et al. The mastering of the album was done at Propeller Mastering, Oslo, Norway by Chris Sansom who has been in charge of a number of masterpieces by Anathema, Jaga Jazzist, Motorpsycho, Bernhoft, Enslaved, Bertine Zetlitz et al. This excellent team, one of the best Norwegian production teams, led the album to its completion. The artwork was created by Takashi Miyamoto, a truly talented graphic designer who has been involved in the production of "Mobile Suit Gundam Unicorn", Otomo Katsuhiro's "Farewell to Weapons", etc. 03. Hymn to the Fallen. 04. In the Half Light of the Canyon. Jan Erik Liljeström – Spoken Words on "The Fog"
Mutsumi Tanamura – Spoken Words on "The Pilgrimage"
Shigetsugu Hagiya – Additional Guitar on "The Pilgrimage"